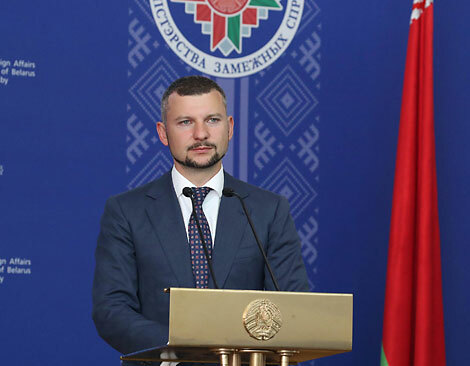 BelarusDigest > Politics > Belarusian Freedom Day 2019: are the authorities warming to the idea? On 23 March Hrodna, the Western city in Belarus, hosted Freedom Day celebrations. The occasion attracted up to 5,000 people. Although the authorities officially allowed the celebration of the alternative independence day for a second year, it is still too early to hope that this represents liberalisation in the country. Permission for the celebration in Hrodna and the absence of mass repression have contributed to an image of democratisation, but the authorities also detained several activists. Despite its short history, the Belarusian People’s Republic (BNR) that emerged on 25 March 1918 has become a symbol of the Belarusian opposition‘s struggle for independence and democracy. For a long time, the authorities either resorted to repressions against those who publically celebrated it or allowed its celebration only in remote areas of Minsk. In 2018, on the eve of the 100-year anniversary of the BNR, the opposition obtained permission for the first time to hold a ceremony and a concert near the central Opera House. Remarkably, civic activists – not politicians – took on the leading role in organising the event. Instead of political slogans, the organisers emphasised the celebration of the 100th anniversary in a format intended to appeal to ordinary citizens; they gathered almost 11,000 people. Since last year, the Belarusian state-run media has gradually changed its rhetoric concerning Freedom Day. Until 2018, they called the BNR a puppet-state created with the support of the occupying German forces. Today they more often portray Freedom Day as a stage in the formation of Belarus’s statehood or give only minor critical comments. For example, On 25 March 2019, the main state-run outlet SB-Belarus Today wrote that Freedom Day should be celebrated by everyone, but that the musical artists in the programme were not interesting enough. The same team of organisers as last year, primarily consisting of civic activists and inspired by the success of Freedom Day 2018, submitted an application to celebrate Freedom Day in the city centre. Authorities refused this request, however they suggested holding the celebration at Kiev Square, located further away from the city centre. Considering the liberalisation of official Minsk’s rhetoric on the Belarusian national idea, this response unexpectedly disappointed the Freedom Day organisers, especially after the events allowed in 2018. In September last year the Deputy Minister of Foreign Affairs, Dapkiunas Andrei, said that the BNR is part of Belarusian history and that Belarusians should not ignore it, according to Radio Liberty. 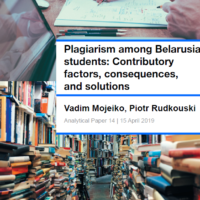 In a similar vein, the newly adopted document on national informational security views the preservation of the Belarusian language and history as a ‘security factor’. However, during a press conference at the beginning of March, Alexander Lukashenka publicly said that he saw no need for a mass and solemn celebration of the 101st anniversary of the BNR. The authorities’ refusal to allow Freedom Day celebrations in the centre of Minsk divided the Belarusian opposition into two blocs: political parties celebrating in Minsk on 24th March and civic activists marking the event in Hrodna a day earlier. This year the Hrodna authorities, known for their cruel treatment of activists, allowed the celebrations in the same place and hoped that the celebrations would not be large. Around 5,000 people gathered in the city’s central park for celebrations on 23 March and formed the biggest ever crowd for Freedom Day in Hrodna, almost twice as large as the assembly on 24 March in Minsk. Although Freedom Day was conducted without large scale repression, the compromise steps that civic activists had to take have a rather weak relation to political manifestation that the Freedom Day used to have before 2018. In that way, the “something’s better than nothing” approach led to a Freedom Day fully regulated and controlled by the regime. Such a model can unlikely indicate any real freedom of the part of those that want to celebrate the 101 years of the BNR’s proclamation. The Belarusian authorities used its permission to carry out Freedom Day 2018 in Minsk as evidence of the democratisation of the country when negotiating with the West. At the same time, louder signals about the need for “better integration” come from Moscow, including the possibility of unification into a single state. In this situation, the tolerance of mass celebration of Freedom Day could be seen by Moscow as a demonstration of the Belarusian authorities to strengthen sovereignty. In the context of almost total economic dependence on Russia, the authorities considered it dangerous allowing the celebration of Freedom Day in Minsk. On 24 March, the Russian nationalist media outlet Regnum, two authors from which were sentenced in Belarus last year, published an article criticising Lukashenka and highlighting the “failure of Belarusian nationalism”. The rest of the Russian media paid almost no attention to Freedom Day this year, which could indicate that the celebration will not cause any serious changes in Belarus-Russia relations. In its turn, the West, through the US State Department’s representative, said in an interview to TUT.by on 6 March that the approval of the 25 March celebration will demonstrate the continuation of the movement towards democracy in Belarus. Ignoring this promise in the current geopolitical realities, too, can become dangerous and, therefore, the authorities allowed the celebration in the periphery. In Hrodna, Freedom Day 2019 took place peacefully and ended without arrests of activists. In contrast to previous years, the celebration of Freedom Day in 2019 has resulted only in a few detentions: of the oppositional activist Zmitser Dashkevich (the court hearings happens on 25 March), Vital Rymasheuski, and several other people including a musician Liavon Volski. This contrasts with around 50 detentions last year. The authorities’ response to the Freedom Day celebration showed that official Minsk, on the one hand, has allowed a limited expansion of the space for freedom of expression in the country. On the other hand, the authorities want to demonstrate their readiness to use force if any signs of a political protest appear. It seems that the Belarusian authorities tried not to disappoint Moscow while preventing civil society and opposition forces from feeling that they can change the country. Though Belarus-Russia relations have deteriorated due to the clash over oil revenues, the recent diplomatic row might also signal a deeper crisis in the relations between the two states. While Russia is hesitating to compensate Belarus for the losses resulting from Russia’s changing policies (the so-called tax “manoeuvre”), Minsk is getting more nervous. According to several Belarusian analysts, as Moscow decreases indirect financial aid to Minsk, the Belarusian economy will inevitably learn to adjust. As a result, the post-Lukashenka Belarus will eventually end up being less dependent on Russian markets and money. 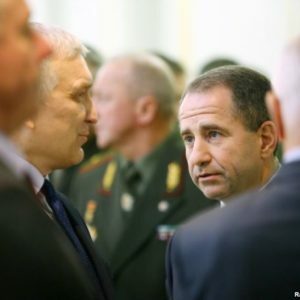 In August 2018, Vladimir Putin appointed diplomat Babich, former Chairman of the Government of the Chechen Republic, as Russia’s ambassador to Belarus, two years after an unsuccessful attempt to send Babich as an envoy to Ukraine. Upon his arrival in Belarus, Babich immediately started raising financial aspects in the relations between the two states. However, it was Babich’s latest interview to RIA Novosti that caused the major uproar among his Belarusian colleagues. In addition, the diplomat commented on Lukashenka’s statements regarding the high cost of Russian credit resources for Belarus. According to Babich, President Lukashenka was simply let down by the aides, who provided the wrong statistics. The diplomat further splashed numbers in relation to Belarus’s exports to Russia: “Out of $5 bn of exports of Belarusian agricultural products that our friends are so proud of, 4 billion stays in Russia, which is 80%,” he calculated. Finally, Babich referred to recent talk about the Russian threat to Belarus’s sovereignty as “electoral technology.” According to Babich, it was hardly reasonable to implement such technology at the expense of relations with its closest ally – the Russian Federation. Honestly, there is not always enough time to read all the interviews of Mikhail Babich: all of them are quite similar, and the mentor line of reasoning does not change much… Without reading, I can say for sure that the relations between our states and our nations are much deeper than a fraudulent set of numbers that a Russian diplomat regularly provides. Yet this is his right to set a bar for himself that turns him into a bookkeeper or a promising s accountant. Moreover, Glaz advised Babich to devote more time to understand the specifics of the host country and get acquainted properly with its history. According to Glaz, Babich “simply misunderstood the difference between a federal district and an independent state.” In addition, Glaz promised to give detailed comments to the Russian partners regarding the Ambassador’s statements on Belarus-Russia relations. We, in contrast to these commentators [Anatol Glaz], have enough time to read and analyse all the information… I am sure it all comes down. The most important thing is that both the Russian and the Belarusian side have an opportunity to make objective evaluation of different arguments and elaborate mutually acceptable solutions for the benefit of the two nations. All the rest is chatter. We take it very calmly. Yet, a reaction followed from Kremlin. 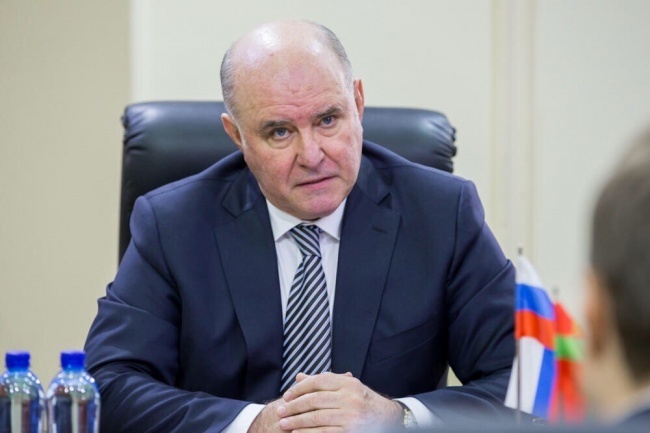 Grigory Karasin, the Deputy Minister of Foreign Affairs of Russia, made an official statement that Russia expected a more respectful attitude to its Ambassador from the side of the Ministry of Foreign Affairs of Belarus. The diplomatic row immediately attracted the attention of the Belarusian and Russian press. As for the Russian media, the majority of media outlets praised Babich as the “new style of Russian diplomacy”. At the same time, the Russian Ministry of Foreign Affairs subsequently tried to settle down the diplomatic scandal. On 21 March, the Russian Foreign Ministry issued an official statement that “Belarus remains Russia’s chief strategic partner” and “the inter-state dialogue should always stay professional and correct”. Several Belarusian analysts have also provided their commentary. In his article to Naviny.by, Aliaksandr Klaskouski mentions that Babich stays calm and ironic because Kremlin perfectly understands all of Lukashenka’s weaknesses. By declaring unity and friendship once more, Russia pinpoints Belarus on its vassal dependence. According to Artyom Shraibman, writing for Carnegie Moscow, despite the bold rhetoric, Minsk has little space for manoeuvre; hence, Lukashenka will continue sticking to Russia and simultaneously preparing for potential separation. The Belarusian economy will eventually adjust to the decrease of Russia’s indirect financial support. Consequently, the post-Lukashenka Belarusian authorities might obtain a favourable opportunity to ditch the Union State with Russia. In conclusion, the undiplomatic exchange between the diplomats clearly signals an upcoming shift in Belarus-Russia relations. Apparently, Minsk and Moscow have grown tired of each so much that even diplomats – people whose job remains to calm conflicts – start getting engaged in a battle of words. Nevertheless, the diplomatic conflict will most probably fade away, and neither Babich nor Glaz gets punished for overstepping the boundaries of diplomatic etiquette. At the same time, further battles between Minsk and Moscow might soon recur on a different front taken into account Russia’s reluctance to compensate Belarus’s upcoming losses in oil revenues.